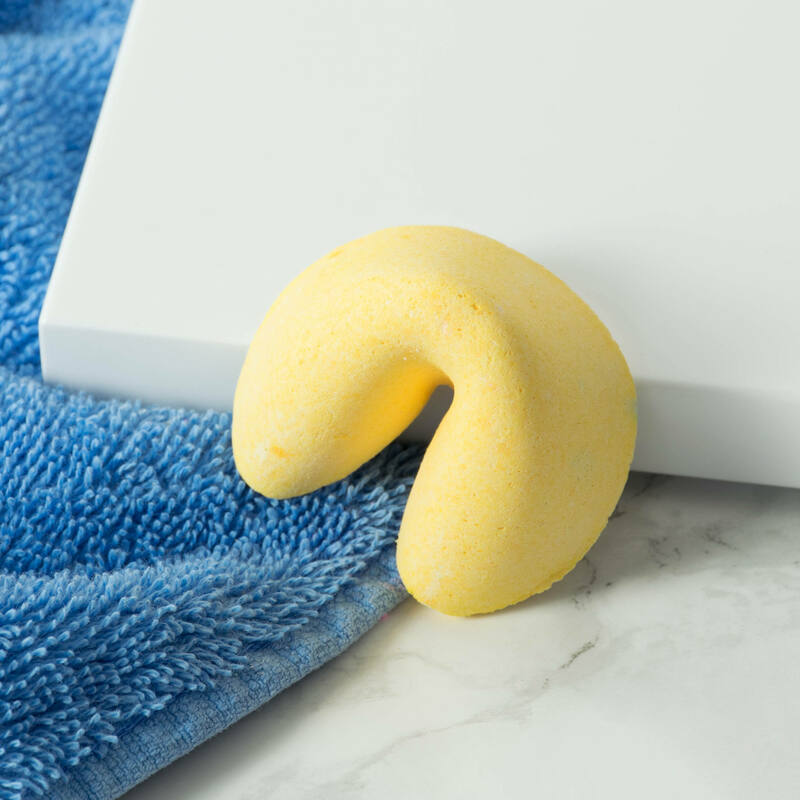 Drop a few fizzy fortune cookie-shaped bath bombs in your bath whilst bathing. Hidden in just one of the bath bombs in each tub is a message - you can't tell which one it is by simply looking - i've hidden it well! So which bath will it be to reveal your message?! Beautifully fragranced with the ever popular and ALLERGEN-FREE scent of 'Ambre Fleur'. Fragrance: Ambre Fleur is a fresh and uplifting fusion of bergamot and orange blossom with delicate cottony florals on a base of precious powdery musks. 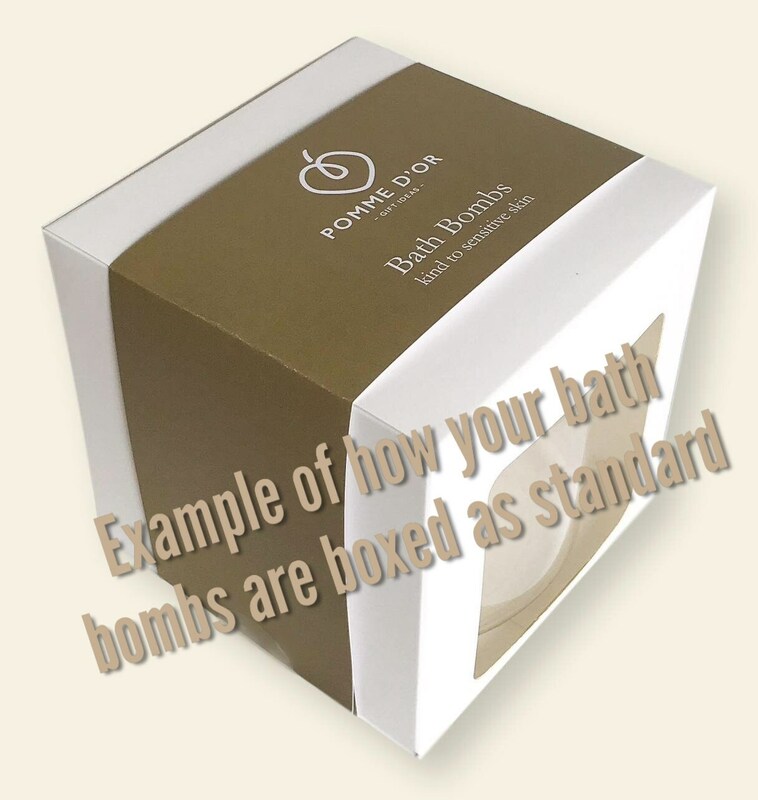 (The fragrance is EU approved and classed as 100% allergen-free which is not likely to cause adverse skin reactions, i.e. it does not contain any of the 26 potential allergens as outlined in EU directives). Container: clear PET plastic with white screw-top lid. Tub measurements: 115 x 110mm. 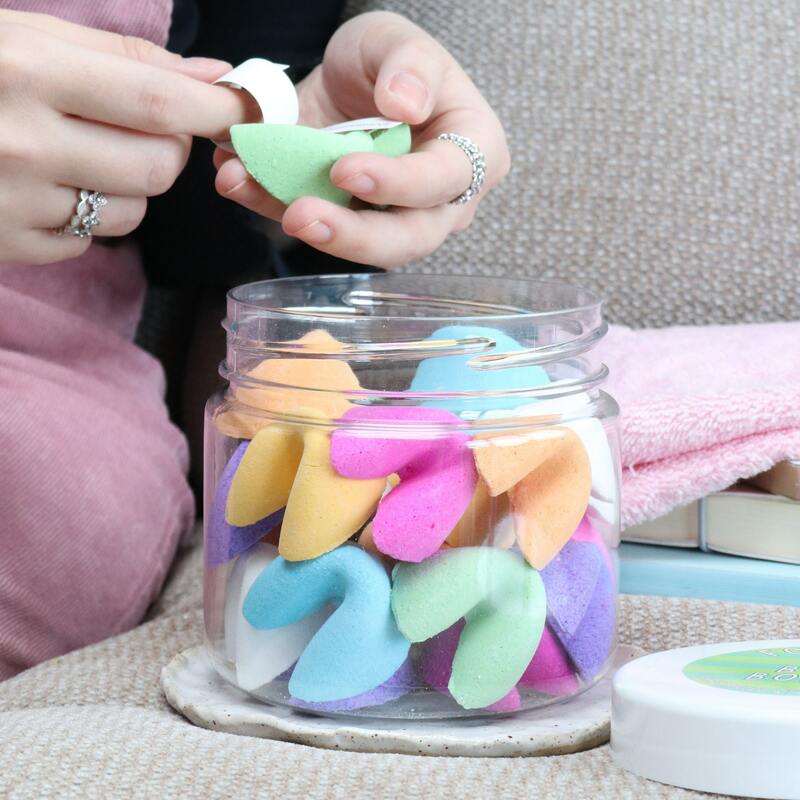 Ingredients: Sodium Bicarbonate, Citric Acid, Fragrance, Hamamelis Virginiana (Witch Hazel) Distillate, colouring: CI19140, CI45350, CI42090, CI16035, CI45100, CI14720, CI60730, CI40215, CI74180. THIS IS NOT AN EDIBLE PRODUCT!! Vegan-friendly - not been tested on animals. Made by hand in Devon, UK. Pomme d'Or - beauty to the core. 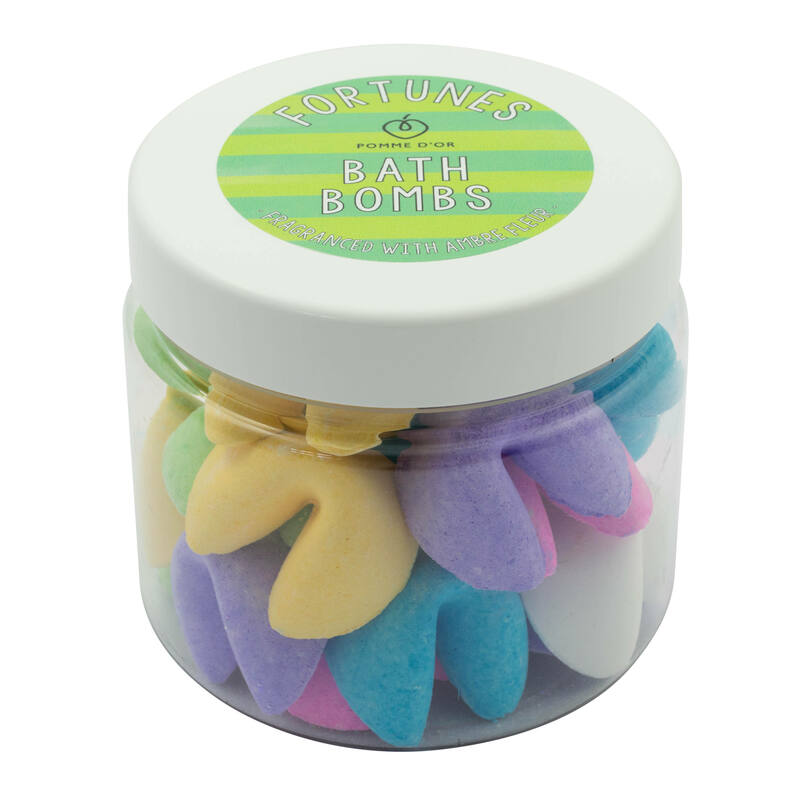 Very cute tub of mini bath bombs. Gift for a friend who loves them so far as she has sensitive skin.